Many people in Henley will already know about the deaths of both Ken and Pam Kearsley, who were residents of Chingley Bank, just before Christmas and just after New Year. For those who don't, very briefly, Pam had a serious brain haemorrage in early August last year. She was admitted immediately to the University Hospital of Coventry and Warwickshire. After a number of relapses, and after eventually being transferred to Warwick Hospital, she died just after New Year. Ken, on the way to visit her in hospital just before Christmas, sustained a massive and terminal heart attack in his car, somewhere near Claverdon. He had recently had some trouble with temporal arteritis but I do not know the medical details. Being Ken, he'd put his own ailments on one side the instant Pam was taken ill.
A double tragedy for friends, for family and for Henley. This is simply a personal tribute to a couple who gave a great deal of themselves to Henley’s community and to their friends. One of the initiatives prompted by the Parish Appraisal of 1999 was a project to revitalise the Jubilee Play Area at the top of Chingley Bank. This had fallen into disrepair and needed time and money spent on it to restore it to an attractive, safe and accessible play facility for Henley’s young. Pam joined the committee, which was christened “Action Replay”, at the outset. She rapidly became the focus of liaison with the local schools and young people to try to establish their “ownership” of what was to be done. This was entirely her own idea and the consultation it provided proved to be a constructive factor in the eventual success of the project . She created a formal committee of ten-year-olds with properly-elected chairman, secretary and publicity officer who conducted orderly meetings under Pam’s mentoring and reported their conclusions back to the main Action Replay committee. Pam steered members of the junior committee through presentations to local Council in the course of grant applications – with successful outcomes. Pam and Ken joined the Heritage Centre stewards team in 2004 and together and separately they have left their mark in dozens of ways. Pam took on the extra duties of a guide and host for school visits as a member of Ann’s team. This role was enhanced by Pam’s professional experience as a primary school head. She had an outstanding skill in capturing and keeping the attention of young people: we became accustomed to hearing the sounds of the Battle of Cressy being fought in the Mediaeval Room and the stentorian tones of a stern disciplinarian in the Victorian schoolroom! Pam took on the large and complicated job of reorganising the files of documents and pictures held in the Heritage Centre’s reading room and that work has continued. The book of poems entitled “Real Rubbish” was the result of another of Pam’s initiatives – a collection of works written by schoolchildren on the subject of litter! You can see it in the reading room. 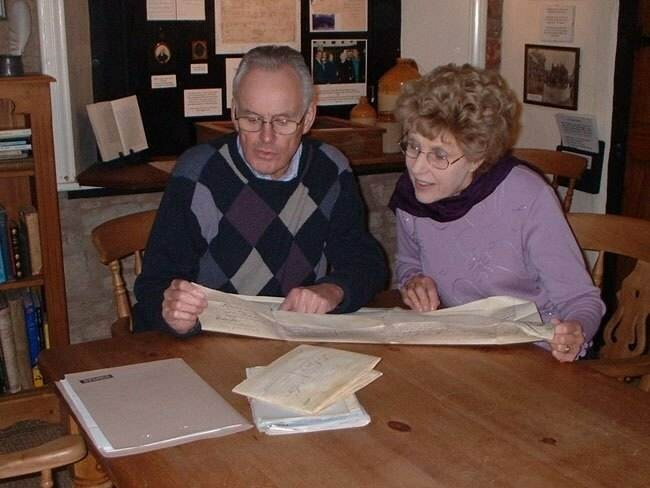 Pam and Ray Holding scrutinise some “new” 18th Century documents. Ken’s contribution to the Heritage Centre will be very hard to follow. 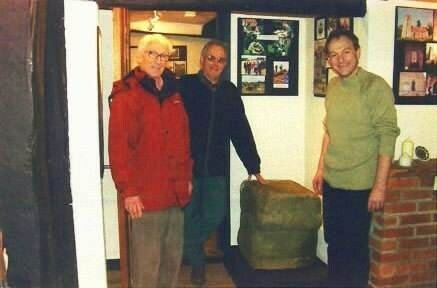 He made many of the less obvious but essential fixtures and fittings in the house including the plinth for the castle stone: he was one of the small team who, one wet and muddy day, retrieved the stone from the Mount in 2005. He made the beautiful bench in the side access passage, the safety box for the electricity meters, the wooden pockets for the various room guide cards, numerous display boards and smaller bits and pieces. He did most of the work involved in installing the Wartime displays into the outhouse. He revarnished the garden tables and benches and the pavement bench. He helped over and over again with various reorganisation jobs in the Centre. Ken was a meticulous woodworker – all measurements and saw-cuts had to be “just so”. He made some wonderful toys for his grandchildren including an engine big enough to sit in. A great deal of my job as curator is basically DIY and I am really going to miss Ken’s cheery and willing help and support – and the real pleasure of his company. Nothing was ever too much trouble and he finished everything he started. Ken was a Court Leet juror and both he and Pam turned out on state occasions and gave a hand with events – like selling ducks for the duck race on Court Leet day. They got actively involved, as opposed to just turning up, with everything they joined. 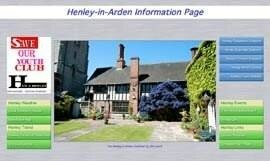 After a period as a committee member Pam took on the chairmanship of the Henley and Beaudesert Society in 2007, a very public role and frequently quite a stressful one. It’s a good example of the sort of job which someone has to do to enable our voluntary societies to function. Pam took it on – it’s what she would do. Under her lead the programme of talks and visits continued to expand and develop – witness the present flourishing membership of the Society. Pam was the founder head of St Francis’s Church of England Primary School in Bourneville and remained a governor for years afterwards. The school visited the Heritage Centre every year. 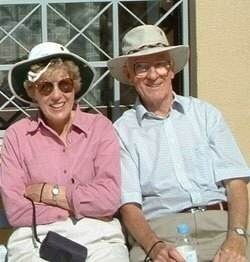 Pam and Ken were Grecophiles: they made regular visits to Greece and certainly knew their way round. Pam spoke a very good hand of Greek. In October 2004 Ann and I joined them on a trip to Athens and we couldn’t have had better guides to the historical sites – and the best tavernas! Pam and Ken were great hosts, cheerful and energetic participants in everything and truly generous-spirited people. Between the two of them, while Pam often appeared to set the pace, Ken was a firm but gentle brake. The only consolation to be had in their tragic departure from us is that they had always worked as a pair and that it would be difficult to imagine one without the other. 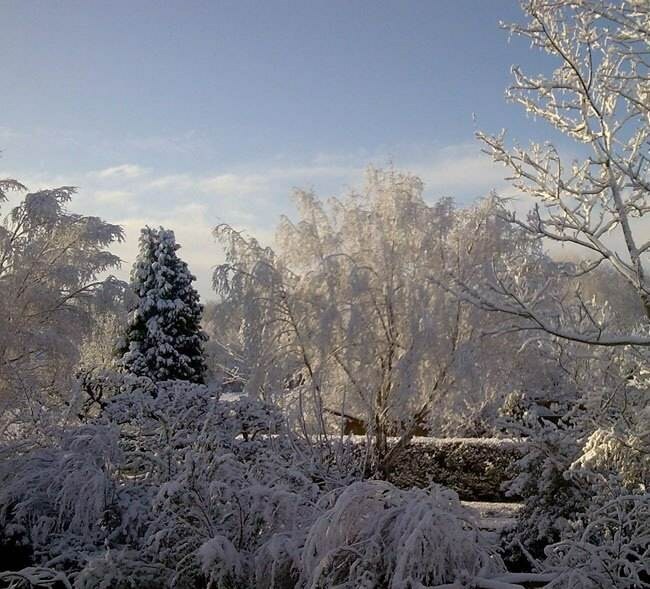 Henley has experienced its longest spell of arctic weather in what some are saying is the coldest winter since 1963. 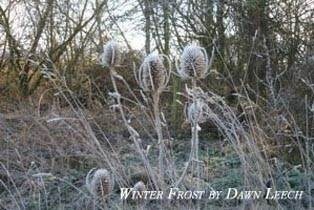 In that winter the snow started on Boxing Day 1962 and the big freeze lasted until March 1963. The following advice comes from the Government website. You should also keep your home at the recommended temperature of 18 to 21 degrees Celsius (64 to 70 degrees Fahrenheit). If you can’t heat all the rooms you use, heat the living room during the day and the bedroom just before you go to bed. 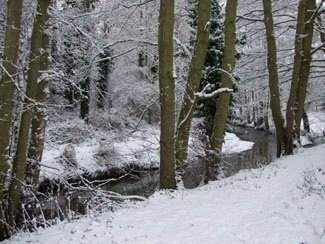 Elderly and disabled people, particularly those with serious illnesses, are more vulnerable to cold weather. If you have elderly or disabled friends, relatives or neighbours, make sure you check to see that they are OK. As many of our footpaths are now in a very dangerous condition, elderly neighbours may well appreciate their shopping being collected for them. If there is then a sudden change in temperature, there could be a large amount of melt water leading to a possible risk of flooding. The Joint Parish Council has announced that it will be conducting a review of the town's emergency plans to ensure we are better prepared in the event of similar conditions in the future. Particular attention will be be paid to minimising the dangerous state of the pavements and the provision of grit strategically placed around the town. The Annual General Meeting of the Trust will be held in the Memorial Hall in Station Road on Wednesday 27th January at 8 o’clock in the evening. The meeting is convened by the Town Improvement Committee and is a chance for residents of the town to attend and elect representatives to the committee. The committee is responsible for the running and upkeep of the Memorial Hall and the Playing Fields used by the sports clubs. If you have any views or items that you would like the committee to discuss this meeting will be an opportunity to bring them to the committee’s attention. All residents of the town are welcome to attend and to hear what is being done to preserve and develop these important amenities in the town. 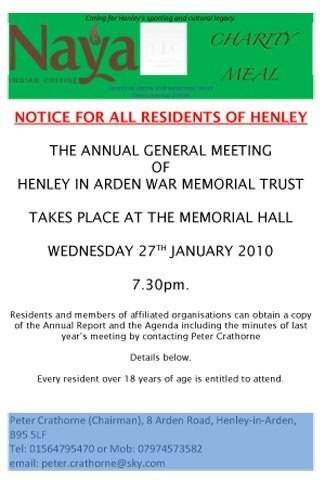 The agenda for the meeting is detailed on notices around Henley-in-Arden. 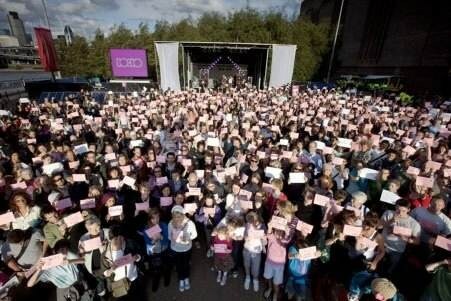 Villages across the county are being called upon to shout about their achievements in the last year. 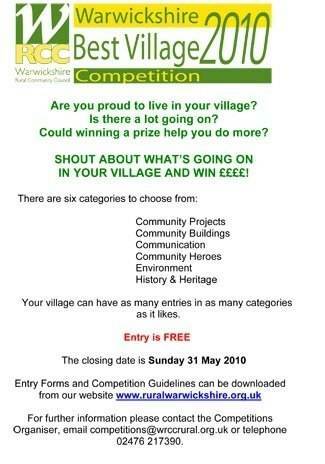 Warwickshire’s Best Village Competition provides an opportunity to win prize money as well as to share ideas with other communities facing similar challenges. Anyone living in a village with 5,000 inhabitants or less can enter and there are hundreds of pounds to be won. There are six categories to choose from: Community Projects, Community Buildings, Communication, Community Heroes (or businesses which benefit the community), Environment and History & Heritage – and all kinds of evidence is welcome (photos, DVDs, publications etc). The closing date is Sunday 31 May. A panel of volunteer judges will select the best in time for a special awards ceremony in July. 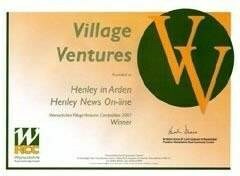 For more information about how to enter the competition or to volunteer to be a judge, visit www.ruralwarwickshire.or.uk or telephone Ariadne on 02476 217390.
Henley received 2 awards in this competition last year, one for the Heritage Centre and a second award for Henley Online. Entries for this year’s 27th Knowle Fun Run opened on New Year’s Day with a new fresh face fronting the KnowleFunRun.org.uk website. 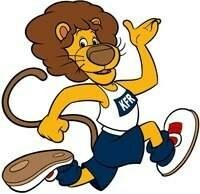 "For the past 13 year’s the image of Leo, the old Running Lion, has lead the event but we feel he has become a little tired and needs to hang up his trainers in favour of a new younger fresh faced Lion," says Knowle and Dorridge Lion and Fun Run leader John Heard. The 5 mile Knowle Fun Run with 2 laps on traffic free roads and its 2 Mini Runs for the under 9s is one of the Midlands biggest community fundraising events. This year’s Run on Sunday 16th May will raise funds for the Parkinson’s Disease Society, Teenage Cancer Trust and fly2help as well as local causes and the Lions hope that individuals as well as companies will commit early to raising lots of funds for these worthy causes. "We find that runners from all over the West Midlands are keen to reserve their place in what we hope will be another terrific record breaking community event," says organising Lion John Heard. "We hope that your readers needing to burn off some of those calories put on over the festive season will get their friends and relatives to join them and pull on their running shoes to start training now." Don has made a lifelong study of the 1914-1918 war and is about to put his extensive knowledge to the test as he guides a party through the historical sites visiting places such as Tyne Cot Cemetery, the Menin gate, Sanctuary Wood, Vimy Ridge and the mediaeval city of Ypres with its cathedral, the rebuilt cloth hall and the “In Flanders” Museum. The 4 day tour departs Friday 21st May 2010. 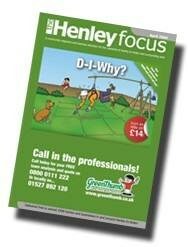 The Christians in Henley wish everybody a God blessed New Year. 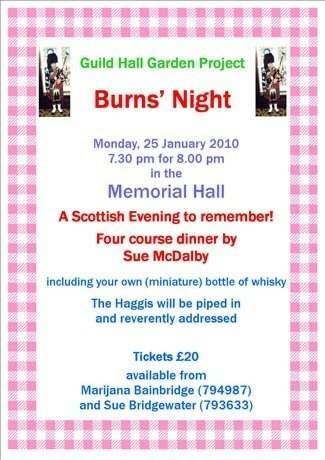 They do all manner of things this month that you can join in with. CHRISTIAN PEOPLE OF HENLEY UNITE in the week of prayer for Christian Unity. A special service will be held in the Baptist Church on Sunday 17th January at 6.00 pm. This will be led by Rev Robert J Powell, Methodist Superintendent Minster – the Preacher is Rev David Haslam. Representatives from other denominations in Henley will be taking part. All are welcome. 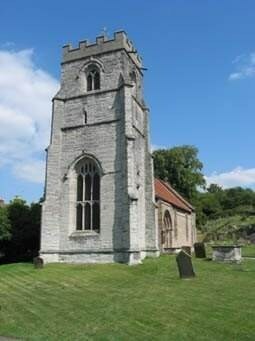 COME AND EXPERIENCE A CANDLEMAS SERVICE in St Nicholas’ on 31st January at 6.00 pm. A joint service with Ullenhall Church and the other churches in Henley. All are welcome to this special occasion. COFFEE MORNING, Bring and Buy, Home-made cakes and raffle, 10.30am - 12 noon on Saturday 30th January in the Church Hall, Beaudesert Lane, in aid of St. Basil’s Centre. Please call in for a coffee when you come to shop. ST. BASIL’S CENTRE for Young Homeless in Birmingham is the largest agency working across the West Midlands to prevent homelessness. As well as providing 300 young people with a bed every night, St. Basil’s supports 4000 young people each year, offering advice, support and training that will enable them to find and keep a home. St. Basil’s Centre is one of the charities supported by the congregation at St John’s Church by regular giving each month through a Charity Envelope Scheme and also by some special fund-raising events during the year, such as the above. Our Covenant Service will be on Sunday 10th January, followed by a Bring and Share Lunch. Sunday Services all at 10.30 am are: 3rd – Prof. Eric Ives; 10th – Revd Robert J. Powell (Sacrament, Covenant); 17th – Miss Brenda Tate; 24th – Mrs Sheila Brown with Mr Philip Griffin; 31st – Mr Alan Cooper. The Baby Group meet every Monday morning from 10.30 am. Henley resident and man about town Steve Aston recently took part in The Atlantic Rally for Cruisers (ARC) and in so doing raised over £1500 for charities. 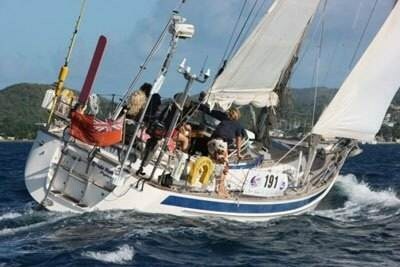 As navigator of a 40ft Halberg Rassy yacht amongst the 220 boats taking part. Steve was one of only two experienced members in the 5 man crew but completed the 2705 miles from Gran Canaria to St Lucia in 44th place overall. The non stop voyage took 17 days in winds averaging force 5 but encountering one storm with wind speeds of 44 knots! If any reader would like to support Steve’s effort and contribute to the RNLI the website is www.justgiving.com/steveaston. A few days before leaving for the Canaries, Steve Aston discovered that Steve Bennett of the White Swan was also taking part in the event in his Beneteau 57 and on arrival in St Lucia the two crews met up to share a few beers. A fifteen year old Amish boy and his father were in a shopping mall. They were amazed by almost everything they saw but especially by two shiny, silver walls that could move apart and then slide back together again. While the boy and his father were watching with amazement, a fat old lady in a wheel chair moved up to the moving walls and pressed a button. The walls opened and the lady rolled between them into a small room. The walls closed and the boy and his father watched the small numbers above the walls light up sequentially. They continued to watch until it reached the last number,and then the numbers began to light in the reverse order. Finally the walls opened up again and a gorgeous 24-year-old blond stepped out. Sorry about that horrible pun but I might as well be topical. What do you say when your employees can’t get into work because of the weather? Do you ask them to work from home? Do you make them take it as a day’s holiday? Do you treat it as unpaid leave? Or do you just forget about it? Where it’s practicable for employees to work from home that’s obviously a good solution but it certainly doesn’t apply to everyone. It’s my guess that most companies will just accept that if an employee genuinely can’t get in then they’ll just forget about it – after all, this sort of thing doesn’t happen very often, does it? But what if it does become a more regular occurrence? Who will pick up the tab for all these work days lost? So who does foot the bill then? The councils who fail to manage their resources well enough? 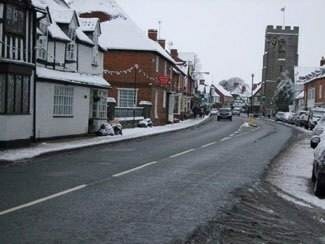 The Treasury which has starved local councils of money so they can’t afford to grit all the roads? The Met Office that failed to forecast it? Of course not! You’ve guessed it – the employers will have to pay. Adding to costs and pushing up prices. So how should you handle this situation in your own business? If you can’t operate without staff being physically in work then you need to decide your policy in advance and inform your employees how you will treat their enforced absence. Try to demonstrate some flexibility, for example by allowing a later start and/or an earlier finish on snowy days or help with alternative methods of getting people home, especially those that use public transport. As in all employment situations, it’s important that the employer is seen to act reasonably. Your employees, who in the main do have your company’s interests at heart, will appreciate it and will be more inclined to work that bit harder to make up for lost time. A New Years Resolution Worth Keeping?? Christmas is over and our thoughts may have turned to our New Year’s resolutions. Perhaps like us you have stopped making resolutions as they only last a few weeks, so why bother? There is one resolution that is worth making. It’s explained in the 10:10 campaign. Launched in September its aim is to achieve a 10% cut in the UK’s carbon emissions in 2010. Many of us say that we are concerned about climate change and the terrible effects it will have but we often feel powerless; that the individual can’t really make a difference. Yet, if all those who are concerned do make an effort to cut their own carbon emissions, the cumulative effect of everyone doing so can bring about change. This is the idea behind the 10:10 campaign. By everyone working together, businesses, schools, organisations and us, the individual, we can make that difference. As the campaign says, “It may seem an ambitious target but for most of us it’s an achievable one”. Do take a look at the website www.1010uk.org. For the individual it lists all the actions you can take that, unless you’ve had your head in the sand these past months or even years, you probably already know. However the 10:10 ten point checklist gives you ideas & advice on how to achieve these things. Take a look, and make cutting your carbon emissions your New Year’s resolution. The aim of every resolution is to feel happier & healthier. By signing up to 10:10 we can achieve this for ourselves and be part of a global effort to prevent catastrophic climate change. Our new year starts on Tuesday 19th January with a talk by Nick Martin from RSPB titled “Birds of Prey”. Nature lovers are very welcome to join us in the Baptist Church Hall from 7.45 pm for a small charge of £2. We meet monthly with excellent speakers and have outdoor trips in the summer. Our next meeting is on Thursday 21st January at 8.00 pm in the Baptist Church Hall. 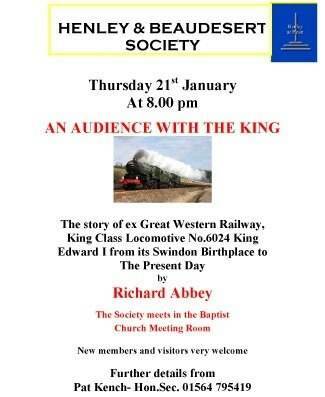 The speaker will be Richard Abbey on “An Audience with the King”. Visitors and new members are very welcome. 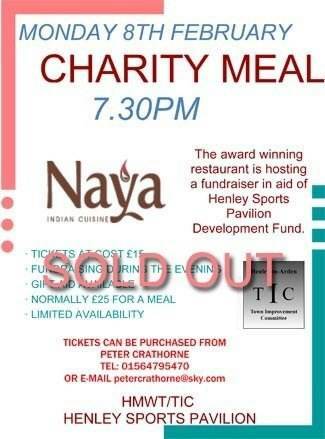 Further details from Pat Kench on 795419. 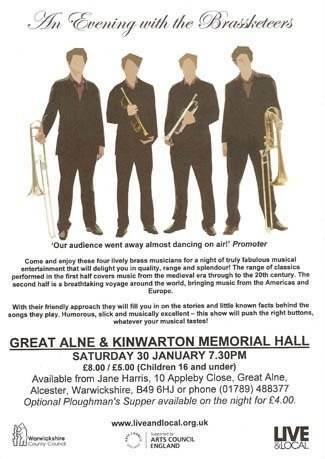 Our next meeting is on Tuesday 26th January in Ullenhall Village Hall, 7.30 for 7.45 pm. 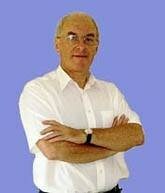 Our speaker is the author David Cropp on “The Lost Gardens of T W Sanders”. 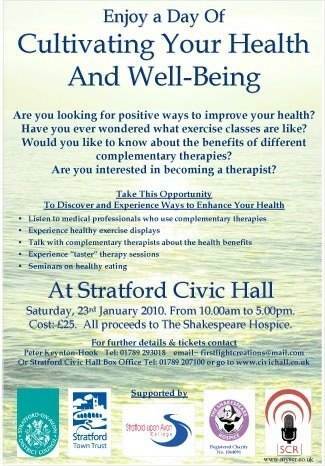 Visitors are welcome (£3). COFFEE MORNING, Bring and Buy, Home-made cakes and raffle, 10.30am – 12 noon on Saturday 30th January in the Church Hall, Beaudesert Lane, in aid of St. Basil’s Centre. Please call in for a coffee when you come to shop. COME AND EXPERIENCE A CANDLEMASS SERVICE in St. Nicholas’ on 31st January at 6.00 pm. A joint service with Ullenhall Church and the other churches in Henley. All are welcome to this special occasion.